Innocent is a young man who grew up in a region of Northern Uganda plagued by famine, poverty, and instability. He was the youngest child born into a large family considered poor even by Ugandan standards. He received his first pair of shoes at age 16. His family lived in a mud hut with a thatched roof without water, electricity or sufficient food. Innocent’s family struggled to survive, experiencing many trials and much suffering. However, as a Christian family putting their trust in Christ, they never lost hope. does not provide education for all children. Many children are unable to attend school. However, God blessed Innocent with athletic talent and an ability to play soccer. This would ultimately provide a scholarship, allowing him to finish high school. Following his high school graduation, Innocent was once again limited by financial constraints and was unable to pay college tuition. In order to survive, he left his village and traveled to Kampala (the capital city) in search for a job. Innocent was hired by a security company known as KK. He was thankful to God for the provision of a job, but he knew that this line of work was not his ultimate calling. Innocent continued to work at various security positions. One assignment required him to guard a Hindu shrine inside a factory that was owned by Indians. He refused and prayed that God would send him God-fearing clients to guard. He was reassigned to a distant post where they refused to give him Sundays off to worship. Innocent continued to remain steadfast in his faith in Christ. He was eventually transferred to a new assignment: guarding the future site of the Royal School and Orphanage. This was another unfamiliar area and he wondered what was in his future. However, this time he would see a miraculous answer to his prayers. His new position required him to guard a Christian couple from America, Rennie and Penny Moultrie, who were overseeing the building of the new orphanage. Innocent and the Moultries quickly began to worship together and a devoted bond of friendship was formed in Christ. As the building of the orphanage continued, so did the bond continue to grow between Innocent and the Moultries. He would refer to them as Papa Rennie and Mama Pennie. The building was constructed by Ugandans, but an American group came over to build the school desks in October of 2007. Part of the group remained at the school and taught First John to the staff, and the other group stayed on the mountain at the new site to build the desks. On one particular day, the group combined for a celebration in order to dedicate the buildings at the new orphanage site. Everyone was gathered together to worship and thank God for what He had done. Chris was one of the Americans who traveled to Uganda in 2007 to work at the Royal School and Orphanage. Innocent was at the new site greeting the Americans as they arrived. As he was walking around, Chris struck up a conversation with him. As Innocent shared his story, Chris was awed by his attitude of joy and faith in the face of a life full of trials. His joyful spirit came from the hope that is only found in Christ. Chris could not relate to the types of difficulties that Innocent had experienced. 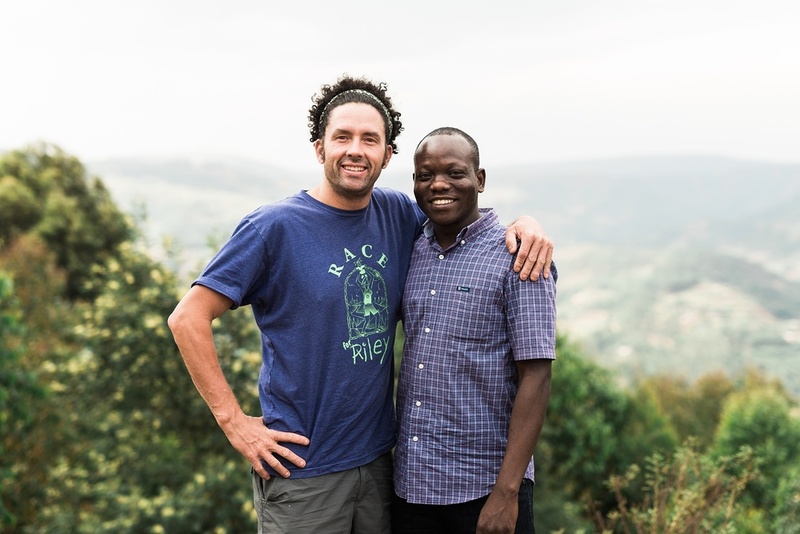 After hearing his story, Chris asked him, “What is your dream job?” Innocent replied, “I want to be a secondary school teacher, so that I can help impact the children of Uganda for Christ.” Being a history teacher myself, Chris related to his passion to reach children through education. At this point, Chris was overwhelmed and his heart was burdened for Innocent. Chris spoke with Rennie and Pennie. They informed Chris that Innocent was like their son and that his character was remarkable. Chris left the mountain that day with a full heart but predominantly with joy from the Holy Spirit for allowing his path to cross with Innocent’s. After praying and seeking guidance from the Holy Spirit, Chris inquired to Rennie about the possibility of sending Innocent to school and what it might involve. In November, Rennie informed Chris that it would cost $500 up front by next month (December) and $2400 per year for three years. The $2400 would cover all of Innocent’s tuition, lodging and food expenses for one year. Chris would have to earn an additional $200 per month for three years. Initially hearing the news, Chris wondered how in the world he could make this happen. As days passed, his heart continued to be burdened for Innocent and he was reminded of the verse; Philippians 4:13 “…I can do all things through Christ who strengthens me.” Chris realized that the Holy Spirit put him on that mountain on that particular day for a much bigger blessing than he could have foreseen. Chris began to pray for extra job opportunities, so that he could support Innocent and send him to the University. As a single person and a teacher, Chris knew that it would take an act of God in order for him to help his new friend, Innocent. After two weeks in Uganda, I returned to my teaching position. I continued to pray that God would reveal a way in which I could be used to help Innocent begin attending University. On my first day back at school, I was having a cup of coffee when my school director walked into my classroom to inquire about the mission trip. After a short conversation, the director told me that she had been thinking about me and thought I might want to earn some extra money. She asked if I would like to work in the after-school program for the middle school. It took me about two seconds to accept the job. My plan was to find a job stocking shelves on the weekends or waiting tables at a restaurant, but God’s plan allowed me to work with children which is my passion. This second job provided the $200 income I needed, but I was still short the $500 in fees that was requiredby December. I continued to pray. Just a few weeks later, our annual Christmas stockings were left hanging on our school room doors; inside was a check for $500. God had provided the way for Innocent to attend school. I called Rennie in Uganda to inform him that Innocent could start school as soon as possible. Innocent was extremely excited and overwhelmed with joy for what the Lord had done for him. He applied to area universities in Kampala, Uganda. Innocent was accepted to the Ugandan Christian University and began classes. He graduated in October 2011 with a degree in Education. Grace for Education started with a goal to provide biblical discipleship and educational opportunities in impoverished areas. Currently our focus is in Uganda East Africa. 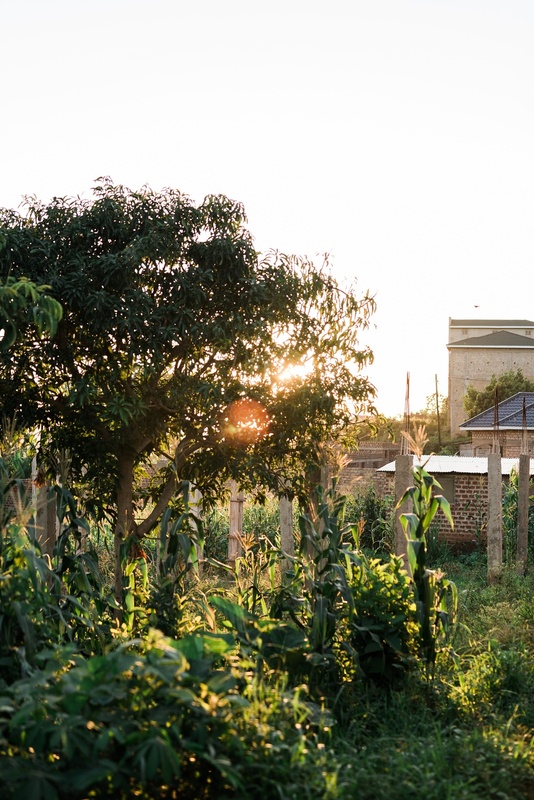 In 2013, through God’s provision, we were able to construct the young men’s facility in Seeta Uganda. The Girardeau house is named in memory of Dr. Ivylyn Girardeau. Her dedication to the Lord and her heart to serve others was impactful during my childhood years. Her continual ministry to the women of Pakistan and India during the 40’s, 50’s, and 60’s was a constant reminder of the importance of sharing the love of Christ throughout the world. We pray to continue to impact others with the same love for the Lord and dedication to His children as she did throughout her life. My question: As we have been entrusted with many blessings from God in our race in life, how is God going to use us to impact other peoples’ life races in a way that will bring glory to Him? This is the question that ultimately led me to establish a new ministry, Grace for Education.